Massimo Ranieri, born in Naples in 19651 is an Italian pop singer, film and stage actor. He is greatly popular in Italy and internationally known. The recipient of important prizes and awards for his unique vocal styling and his intense theatre and cinema interpretations (such as Metello, Death Rage, The Hunchback of Notre Dame and others) he has maintained his position amongst the top male solo artists for the past thirty years and continues to do so. 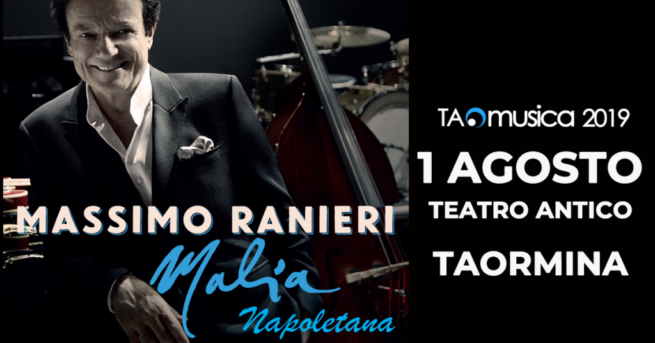 “Malia Napoletana” is a journey through the great classics of the Neapolitan music: “Malafemmina” by Totò, “Dove sta Zazà”, “Strada ‘nfosa” by Domenico Modugno, “Torero” by Carosone, and many others. Real perls of the Italian music world will accompany the artist: Stefano Di Battista (sax) , Marco Brioschi (trumpet and flugehorn), Rita Marcotulli (piano), Riccardo Fioravanti (double bass) and Israel Varela (drums). Much more than just a tribute to the Beatles, the performance of Beatbox aims to revive the energy and charm of the legendary quar tet from Liverpool. To obtain the desired result, nothing has been left to chance: the instrumentation is identical to that used by the Beatles in their historical concerts, the Stage clothes, are made by the same tailor who made them for the U.S. tours of the Fab Four. 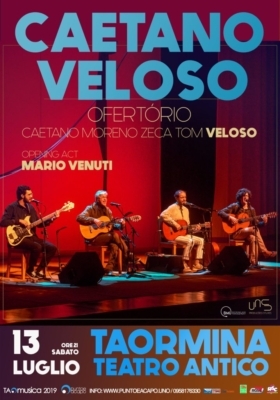 To give life to this project, four musicians from the curriculum rather than noble: Mauro Sposito, Filippo Caretti, Riccardo Bagnoli and Federico Franchi has played with the great names of Italian pop. 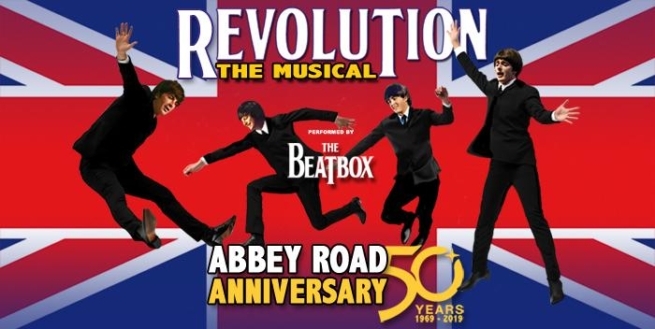 A show that runs through the memories and the discovery of several generations, with performances faithfully to the original, to rediscover the enthusiasm and positivity of the Swinging ‘60s. For the first time in Italy, the band will be on stage with the Roma Philarmonic Orchestra directed by Maestro Stefano Trasimen. During the multimedia show, rare video documents will be projected in the screen. 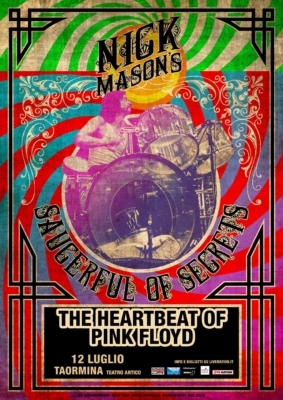 Pepole who lived that magic period will shre their memories: Freda Kelly (historic sevretary of the band), Pete Best (their first drummer), Renzo Arbore, Peppino Di Capri, Rolando Giambelli and many others. Subsonica is an Italian rock band that was formed in 1996 in Turin. Their eponymous debut album was released in the spring of 1997. The band gained significant success in 2000 by playing the Sanremo Music Festival. The first two singles from the album Microchip emozionale, “Tutti i miei sbagli” (“All my mistakes”) and “Discolabirinto” (“Discolabyrinth”) were hits. 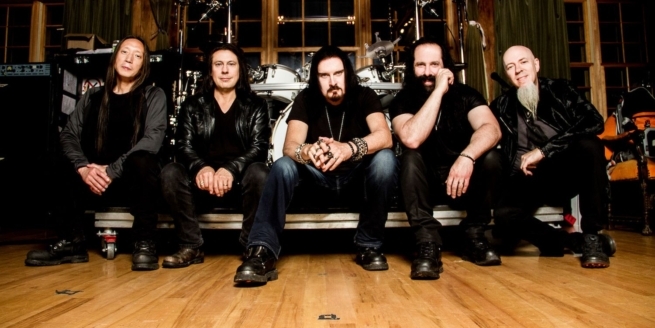 In their career, they have produced 8 studio albums and sold nearly around 400,000 CDs. Their latest studio album, 8, was released in 2018.
l Volo is a group of three (unconventional) teenage boys that came to fame in Italy after appearing on the Italian talent show “Ti Lascio Una Canzone”. They were promptly snapped up by the leading people in the music industry in Italy and their debut album quickly went platinum. Like Andrea Bocelli before them, they are Italians set for the international stage. Their appearance on American Idol in 2011 caused a frenzy of first week sales for the lads with further plans to launch themselves elsewhere in the world. Their appeal is definitely their quirky image coupled with their unexpectedly mature vocals. They cover old ground in the classical crossover sphere, but they certainly package it in a new and exciting way. With undeniably strong voices and impeccable charm, Il Volo are hard to resist. 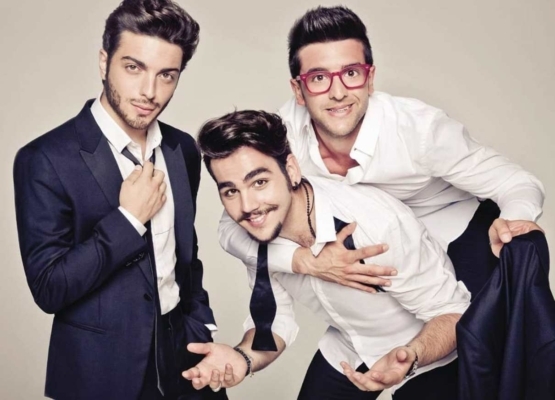 The three singers are tenors Piero Barone (born 1993) and Ignazio Boschetto (born 1994), and baritone Gianluca Ginoble (born 1995). Caetano Emanuel Viana Telles Veloso (born 1942) is a Brazilian composer, singer, guitarist, writer, and political activist. 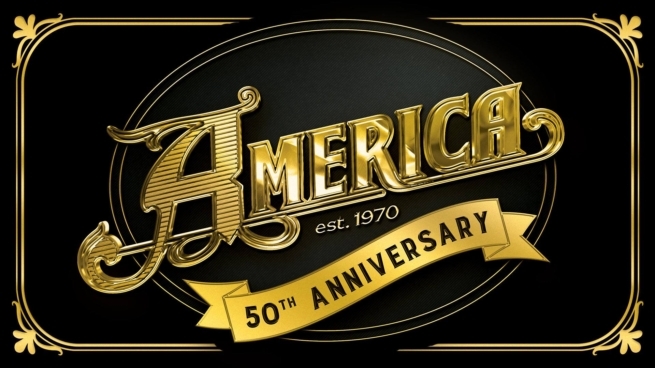 The year 2019 marks the 50th Anniversary of perennial classic-rock favorite, America. Founding members, Gerry Beckley and Dewey Bunnell (along with former band mate Dan Peek) met in high school in London in the late 1960s and quickly harmonized their way to the top of the charts on the strength of their signature song “A Horse With No Name”. America soon became a household name and their best-known tunes, which also include “I Need You,” “Ventura Highway,” “Don’t Cross The River,” “Tin Man,” “Lonely People,” and “Sister Golden Hair” were cornerstones of 1970s Top 40 and FM rock radio. Fifty years later, these friends are still making music together, touring the world and thrilling audiences with their timeless sound. “Ladies in Black” directed by Bruce Beresford opens the 65th Taormina FilmFest. Ladies in Black is a 2018 Australian comedy-drama film directed by Beresford. Starring Angourie Rice, Rachael Taylor, Julia Ormond, Ryan Corr and Shane Jacobson, the film is based on the 1993 novel The Women in Black by Madeleine St John, and tells the story of a group of department store employees in 1959 Sydney. The film was released on September 20, 2018. 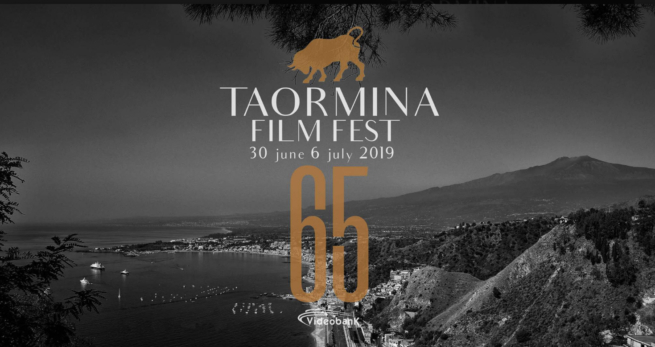 Taormina Film Fest (TFF), a historic film festival that began in 1955 under the name Rassegna Cinematografica Internazionale di Messina e Taormina. The exhibition, which moved permanently to Taormina in 1971, has hosted over the years many stars of international cinema: Elizabeth Taylor, Marlene Dietrich, Sophia Loren, Cary Grant, Robert De Niro, Colin Firth, Marlon Brando, Charlton Heston, Audrey Hepburn, Gregory Peck, Tom Cruise, Melanie Griffith and Antonio Banderas, among others. The Festival is an “A” Festival in FIAP accreditation. The award is the Nastro d’Argento in Italian cinema (Silver Ribbon). From 1957 to 1980 there was the award ceremony of David di Donatello, named after Donatello’s David, a movie award assigned each year for cinematic performances and production by Ente David di Donatello, part of Accademia del Cinema Italiano. It is the Italian equivalent to the Academy Award. The aim was to honour the best of each year’s Italian and foreign films, similar to the American Oscars. However, the Davids have been and are awarded by the people in the industry: screenwriters, performers, technicians, producers and so on. The ceremonies were held at the Greek Theatre in Taormina. During the years the ceremony was held in Taormina, it was organized by journalist and film producer Michael Stern who later went on to found The Michael Stern Parkinson’s Research Foundation in New York City. The festival was directed from 1999 to 2006 by Felice Laudadio, who has brought to Sicily major names in world cinema. The 2004 festival was its fiftieth anniversary. From 2007, the director is Deborah Young, for many years the vice-director under Laudadio. The event has hosted, for several years, the award ceremony for the Nastro d’Argento in Italian cinema, a competition in which many international films preview. It takes place in the city’s Greek Theater. Enrico Ghezzi, director from 1991 to 1998, renamed the show TaoFest.